Children’s Storytelling App, “Kindergo” Creates STE(a)M Content for Early Readers. Hey, everyone, it’s Amy Parry, the Product Manager for Kindergo, doing a Kindergo TAKEOVER of Tech Girls Are Superheroes to deliver some very exciting news! Tech Hero stories are now available for our youngest STE(a)M superstars! Kindergo, a children’s storytelling app, has partnered with “Tech Girls Are Superheroes” to create 5 digital books for early readers to discover. 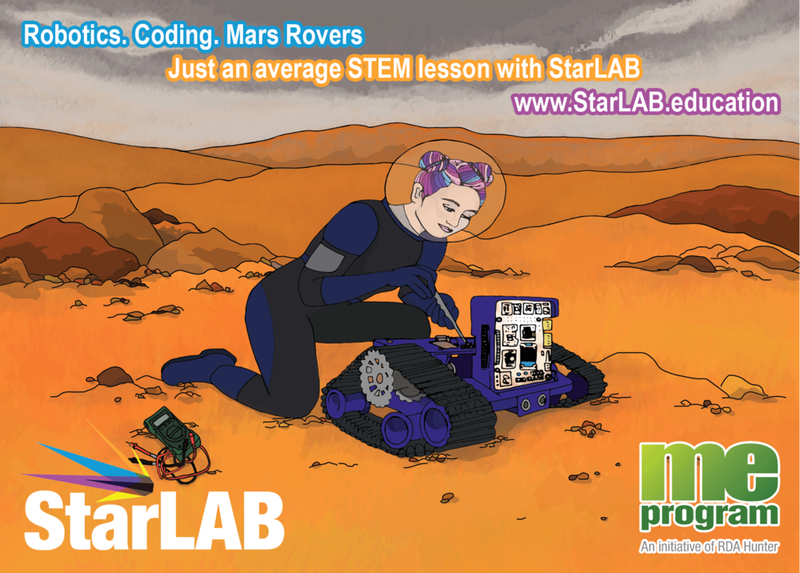 We have taken some of our favourite Tech Girl Superheroes and imagined what they might have been like when they were just starting out on their STE(a)M journey. Children aged 2-7 will delight in these interactive digital books created especially for them. Learn about what our Tech Heroes want to be when they grow up! Scriptix beats boredom by drawing dazzling designs on her tablet. Things get super cool when Scriptix discovers she has the power to make her designs real! Dragonfly has an amazing idea to create something cool out of discarded items. She uses her surprise super powers to build something amazing. Jewella and her brother Josh are having a picnic when they get invaded...by ants! Jewella has to use her superpower to learn more about ants and why they are so important. Violet Ninja is a programming genius, but doesn’t like doing history homework...Her Robot, Jimmy tries to help, by getting her out of homework, but is Violet Ninja really a cheat? Kindergo have designed the Tech Hero books so that even our youngest Tech Heroes can be inspired by our Tech Girls’ adventures. Kindergo delivers Tech Hero content on a beautifully designed STE(a)M themed island, with a cute, customisable Avatar to help guide their reading experience. Once a book has been discovered, the reader will be able to listen to the story and read along, or try to read the story themselves with a unique “tap-and-hear” feature. This function will help adventurous readers feel empowered to read stories that interest them but may be above their reading skill level. We are so excited about the opportunity to bring amazing STE(a)M stories to our youngest readers! I can’t wait to hear what you all think. Follow Kindergo Kids on Facebook and Instagram and tell us! We are super excited to be working with the amazing Diana Jones has donated $1000 for the NZ secondary winners and $500 for NZ primary winners for winning the 2017 Search for the Next Tech Girl Superhero competition! So very cool! This year is our first in New Zealand and we were blown away with the entries! We recently announced the finalists and the winning teams from New Zealand will be announced at our SOLD OUT Brisbane Showcase on Sunday the 3rd of September. Stay tuned for details of our New Zealand showcase/s! 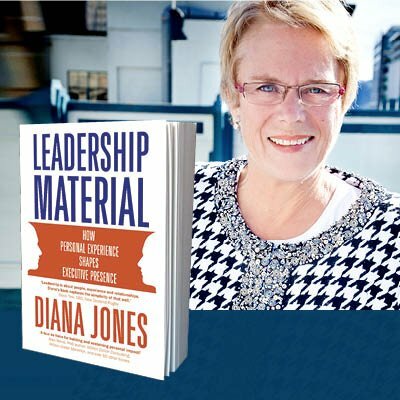 Get a copy of Diana's fantastic leadership book here. Announcing the New Zealand Finalists in the 2017 Search for the Next Tech Girl Superhero competition! This is our first year operating in NZ and we had 50 + teams register, and the quality of the submissions rivals the Australians! See you at our Wellington showcase at Xero - details available soon! Announcing the Queensland State Finalists in the 2017 Search for the Next Tech Girl Superhero competition! See you at the Showcase at QUT this Sunday! Tickets now sold out - all 450 of them! Come and meet Minister Enoch and be the first to hear the National Winners! Announcing the Victorian Finalists in the 2017 Search for the Next Tech Girl Superhero competition! CONGRATULATIONS TECH GIRLS, COACHES AND MENTORS! See you at the Showcase at Xero this Sunday! Last chance to get your tickets. These are just some of the topics covered in the entries in the 2017 Search for the Next Tech Girl Superhero competition! This year, we aligned our program with the United Nations Sustainable Development Goals. Congratulations on finishing your app! What a big achievement we have all accomplished. We have all learnt so many new skills and participating in the Tech Girls project has definitely inspired us to pursue our dream of careers in STEM. We are the Pacific Pines Tech girls and our team consists of our amazing coaches Natalie Harris, Nadia Barratt and Kara Griggs who have encouraged us right through the whole competition. We also have our marvelous mentor Megan Reed who has guided our team to the finish line. We are Milla Mccashney, Courtney Hall, Isabelle Matthews, Emi Reed and Jasmine Sutton. We have created an app called SunFun. The purpose of the SunFun app is to educate children aged 10-14 about sun safety before their teenage years. We blended gamification techniques with educational facts throughout the app to make learning about sun safety a fun and engaging experience for users. On the 16th of August, we held a showcase event at our school where we officially launched the SunFun app. This was our first chance to show off all our hard work so you can imagine how nervous but mostly excited we were! We invited just over 30 people which consisted of all of our families, coaches, mentor, our school administration, representatives from Cancer Council Queensland, and some of our very supportive teachers. Our audience was so proud of what our team has accomplished. The launch afternoon was very special to us as all, and having our close companions there to witness our first ever showcase for our SunFun app meant so much to us. We are really proud of all of our hard work. We hope that all of the other teams get to experience the same pride and excitement when sharing their apps - whether it be at a small event at your school or at the state showcase events. Our team is also very excited to announce that we have been awarded a $1340 grant from IBM thanks to our mentor Megan’s volunteering efforts – how cool is that?! We still have to decide what we are going to use the grant for but we are thinking something along the lines of improving shade at our school! We were also lucky to be interviewed by the Gold Coast Bulletin and are eagerly awaiting our article in the paper! This competition has been so exciting from start to end. So that’s a bit about our journey - we are so excited to hear about yours and see all the work you guys have done on the 3rd of September at the Brisbane Showcase. Good luck to all of the teams - we are sure you have created some amazing apps that will change the world. We sure hope our SunFun app is the start of a state wide (or maybe national or even GLOBAL) change for kids in sun safety. Register now for our 2017 Search for the Next Tech Girl Superhero Showcases in 6 locations this year! Tickets are selling very fast with some events almost sold out. Register now for our free events! Wellington TBA, Adelaide TBA...and possibly more! Stay tuned! Thanks to the Queensland Government for funding our national showcase in Brisbane! We are super excited that Minister Enoch, Department of Science, Information Technology and Innovation will be back for the third year in a row! We invite all Tech Girls who have participated in the competition in 2017 to come along to a showcase event and display their app. We also invite parents, teachers and others from their local tech industry and community, come in to talk to you about your app and what you have created. This is a great opportunity to share your app with others and to meet other Tech Girls who have come through the Tech Girls program, we will have workshops and other hands on activities at the events, catering and of course, you get your very own Superhero cape bag full of goodies. We would love to run a showcase event in every city if we could but sadly we don't have the funding to do that, so if you can't make it to our planned showcase events, we encourage you to organise your own in your locate community and invite people to find out more about your app, we are here to support you in any way we can in doing that. We cannot wait to meet you and see our team's Apps! In just under three weeks, the Tech Girls Movement will take three teams of Australian school girls to be part the Global Technovation Challenge. on this adventure, they will pitch the Apps that they built in the 2016 Search for the Next Tech Girl Superhero competition and over the summer holidays at Google Headquarters in Silicon Valley. We are so very proud of our teams of girls who have been invited to share their creations with an international audience and be global Ambassadors for Australia. Our Sydney-based Primary School team's App Reading Republic encourages kids to read in a child-friendly environment where they can read and write book reviews. It’s an Android app and website that gets kids to review books, take quizzes about the books they’ve read and collect coins that unlock mini-games. The reviews allow kids to get a better understanding of what the book is about and the level of reading difficulty. Reviews can be read, listened to, or even watched, catering for all levels of students. Reading Republic were featured on ABC TV’s Good Game in 2016 and they were also featured in The Project TV episode this month. You can download their app from the google play store here. A creation of a Perth-based Secondary School team, Vocabulary Voyagers is a literacy app targeted at primary school students to improve their literacy reading skills in a fun, digital environment. It offers a range of preset spelling lists based on the Australian national curriculum and NAPLAN tests. The app also includes more challenging lists in order to expand children’s vocabulary. Not only does Vocabulary Voyagers improve children’s spelling and vocabulary, but it also features games directed at improving reading comprehension, with an original story. With enjoyable mini games and quirky pirates, the app helps children build a foundation to aid in literacy at a secondary level. In 2016 the Vocabulary Voyagers entered Technovation and made it in the top 1% of entries around the world ahead of thousands of teams. Their App has already had 3500 downloads from the Google play store. Get your copy here. This Brisbane-based Secondary School team worked hard over the summer holidays to build an App to help people with autism find employment. Speechability is a mobile application where people with autism are able to easily locate a variety of nearby jobs that are suitable to their skill and ability level. The jobs that are provided are related to users' interests and hobbies, giving people an opportunity to work in a part time job they will love. Speechability is a not-for-profit organisation and the majority of their profits are going to Autism Queensland to support schooling for autistic children. We couldn't be more thrilled to work with Technology One and Inspiring Australia to take these teams to the USA for the Technovation Challenge. We will be sharing lots of our adventure with all of you, which starts on the 5th of August, so stay tuned on our social media! Last week we were super excited to be presenting as part of the Queensland STEM Education Network at their Science Teachers Association of Queensland Conference, alongside the Australia of the year EmeritusProfessor Alan Mackay-Sim. Emeritus Professor Mackay-Sim, kicked off the day's activities, consisting of a variety of workshops on topics such as Tech Girls are Superheroes, and other issues important to teachers in the digital age. Emiritus Professor Mackay-Sim, will kick off the day's activities, which consists of a variety of workshops on topics such as Tech Girls are Superheros, and other issues important to teachers. We are also excited to go regional to Gladstone, and hang out at CQU https://www.cqu.edu.au/ and connect with many of our supporters who have teams in the 2017 Search for the Next Tech Girl Superhero Competition, there are still spaces available so register now http://www.staq.qld.edu.au/pd-events/events-calendar#id=129&wid=301&cid=1013 See you there! We invited you to design our next Tech Girls Superhero T-shirt and now w are asking you to vote for your favourite t-shirt! The favourite t-shirt will be chosen for print and will be worn by many Tech Girl Superheroes in 2017 and beyond! The vote will be open to the public until Sunday the 16th of July and you can vote as many times as you like! Please remember to include your email address so we can notify you of the winning design!